Raghuram Rajan, who announced over the weekend that he was going back to teaching at the University of Chicago, will end up completing just one term in September this year, unlike three of his predecessors, each of whom had a stint of five years. That’s a pity. 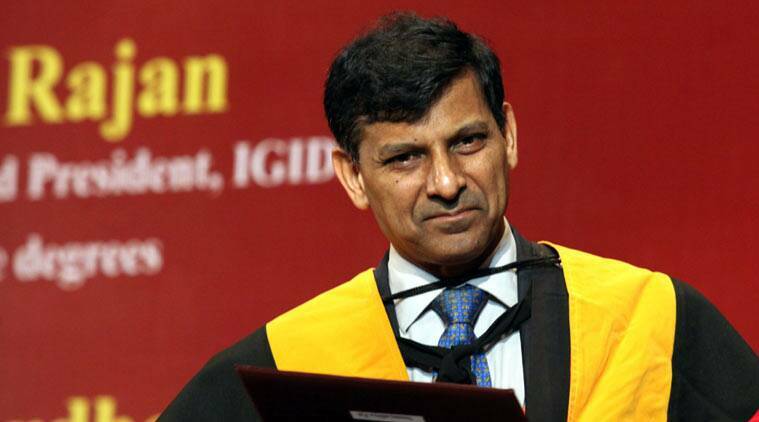 Rajan had indicated that he was open to another term in office to complete an unfinished agenda. It is unfortunate that the government allowed its silence following the petty-minded attack on him by BJP MP, Subramanian Swamy, to be read as its acquiescence in the questioning of Rajan’s personal integrity and “nationalism”. It is perplexing that a regime that has shown high ambition in its engagement with the world, economically and otherwise, should let itself be seen to be insecure about the Indian intellectual/policymaker’s “foreign” credentials. Certainly, it is possible to have differences with Governor Rajan on the approach adopted by the central bank during his stewardship. Arguably, the bank kept interest rates far too high for far too long by focusing on consumer price inflation alone and ignoring the impact of deflation for producers as measured by the wholesale price index. By not cutting interest rates and easing liquidity when the economy needed it, the central bank may have worsened an already deep investment and growth slowdown. Equally debatable is the asset quality review and policy of making banks undertake aggressive provisioning by setting aside more capital against bad loans. While well-intended, the damage done by this measure — in terms of promoting extreme risk-aversion among lenders just when the economy is on the mend — may not be insignificant. Yet, any fair assessment of Rajan’s tenure —not the campaign of whisper and insinuation against him in these last few weeks — cannot ignore his role in stabilising the rupee during September 2013, when the Indian economy faced a 1991-like foreign exchange crisis. He was India’s first policymaker who declared that promoters had no “divine right” to stay in charge or use the banking system to recapitalise their failed ventures. There couldn’t have been a more passionate advocate of a modern rule-based capitalist system in a country where crony-capitalists had, and continue to enjoy, a free ride. These — along with transparent licensing of new banks, creation of an integrated bill payments system and, of course, ushering in a monetary policy/inflation targeting framework jointly with the finance ministry — are contributions that will outlive his term as governor. Added to all of this was the tremendous credibility that he brought to policy formulation in India — emerging as one of India’s most powerful ambassadors of economic policy, parallel to Prime Minister Modi’s global diplomacy. Governor Rajan also brought in a refreshing approach in terms of voicing his opinion on a range of public issues. His thoughtful intervention in the intolerance debate, for instance, enriched public discourse — but evidently won him few friends in a remarkably thin-skinned ruling dispensation. That the government is willing, at a delicate economic juncture, to let go of one of the finest minds in its economic policymaking team, raises questions for which it is yet to offer any convincing answers. It will now be upto the prime minister to undo some of that damage by signalling that there is indeed a place in his government for the competent and those with a broader worldview. At stake is more than just policy credibility. This is also about the future of India’s institutions.